Top 10 Beautiful Love Stories from Ancient Mythology! Mythology is a word that peeks my interest every time. I love reading stories from various classical mythological texts. Indian, Greek and Egyptian mythology especially have always been on top of my list. So when it came to picking a topic for my Top 10 feature this week, I decided to go with the romantic stories from ancient mythology. I did not want to put together a list that was common and most popular, I wanted to share the stories that have been special for me, the ones I developed a strong affinity to. I hope you enjoy reading about my Top 10 all-time favorite love stories from ancient mythology! I always find myself being drawn to the characters whose stories are blindsided by the main characters. Ramayana belongs to Ram and Sita. Of course Lakshman is also one of the central characters in the epic, but he is known for his undeniable loyalty for his brother Ram, not for his love story. The entire epic speaks volumes of Ram’s undying love for Sita and vice versa. However, there is one chapter in the epic that is devoted to Lakshman and Urmila. The chapter beautifully describes their love in its purest form! And it goes on to describe Urmila’s unparalleled sacrifice! Osiris, son of Earth and Sky, was the husband-brother of Isis, Goddess of the Earth and Moon. Theirs is the most influential and elaborate myths from ancient Egyptian mythology. The story of how Isis unwaveringly searches and finds the parts of Osiris after Set cuts him into fourteen pieces, and how she rejoins the fragments and restores the God to eternal life with the first use of the rites of embalmment is an awe-inspiring one! The tale of Psyche and Cupid is placed at the midpoint of Apuleius’s novel. 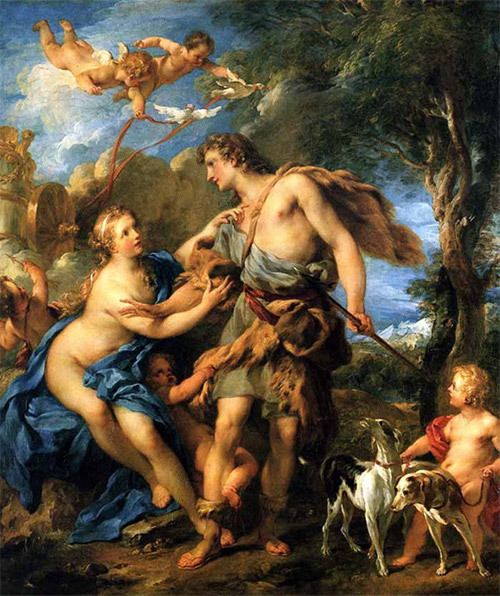 Psyche gains the wrath of Goddess Venus, who commissions Cupid to work her revenge. Cupid instead falls in love with the beautiful Psyche. A beautiful tale of sacrifice, of violations, of trust, of trials and of immortal love! The thrilling story of Sakuntala and Dushyanta is immortalized by Indian poet, Kalidasa in the epic Mahabharata. Theirs is a tale of true love at first sight, to be separated by destiny only to be reunited for their share of happily ever after! 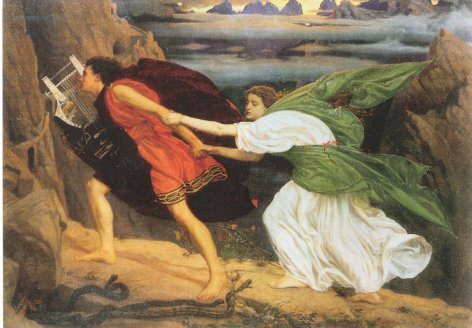 The ancient legend concerns the fateful and tragic love story of Orpheus and Eurydice. This is another tale of love that is lost. Orpheus tries everything he could to bring Eurydice back into his life but his lack of trust in the Gods makes him lose Eurydice forever! According to Greek mythology, the love between Paris and Helen provoked the downfall of Troy. The story of the Trojan prince Paris and his love for the most beautiful woman Helen of Sparta who, however, was married to King Menelaus. Paris went to Sparta and took Helen to Troy by which he triggered the Trojan War. Paris was mortally wounded during the fall of Troy, while Helen returned to her husband in Sparta. The love between the Egyptian pharaoh Cleopatra and Mark Antony went into history for their tragic end. Both committed suicide after they were defeated by the Romans under Octavian. After Mark Antony’s suicide, Cleopatra tried to negotiate with Octavian. According to most sources, she killed herself by inducing an asp to bite her when she realized that she cannot “charm” Octavian. Cleopatra and Mark Antony are said to be buried together but the location of their tomb remains a mystery! 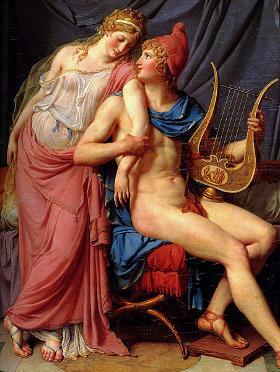 The myth of Adonis and Aphrodite is popular for it is directly associated with love, lust and rejection between the Goddess of Love and Lust and the handsome mortal Adonis. 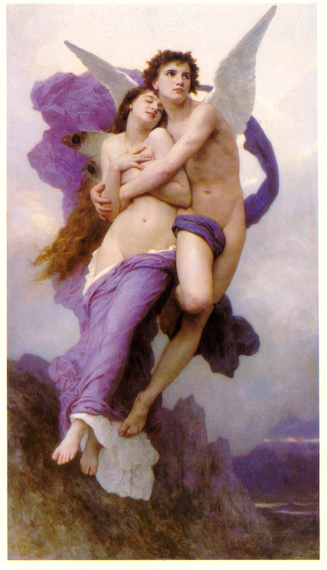 There are actually two known myths about Adonis and Aphrodite. The first myth refers to Adonis’ early years, and the second to his death and Aphrodite’s role in it! The beautiful Menaka, the celestial nymph, was especially brought from heaven by Indra, the king of the Gods, to distract and seduce the sage Vishwamitra and break his severe meditative penance which was threatening the three worlds—heaven, earth and hell. She did, but only to fall in love with him as well. They got married but not to live happily ever after…! Love story of Tristan and Iseult is thought to be inspired by an older Celtic legend. There are several versions of the story about the adulterous lovers. Their story ends with Tristan dying of despair, convinced that Iseult does not want to come to him, while Iseult dies of grief after finding her lover dead! Ahh, love! Was Shakespeare’s Romeo and Juliet inspired by Tristan and Isolde perhaps? That is a very interesting question, Meg! Something I have been trying to find an answer to. There are conflicting informations on this topic. 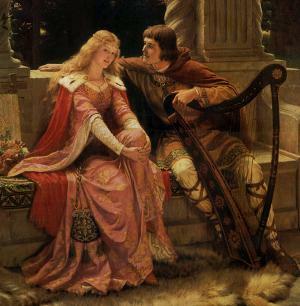 Some claim that Tristan and Iseult story happened arounf 1100 much before Shakespeare wrote Romeo and Juliet so it is inspired, whereas another group claims that it cannot be inspired because Tristan & Iseult story was written in 1800’s after Romeo and Juliet. I am not sure which argument is the correct one! Thats nice! I love happy endings too 🙂 if you don’t mind me asking, which country are you from Shine? I think Cleopatra and Mark Antony would add to historical marriage rather than mythological. 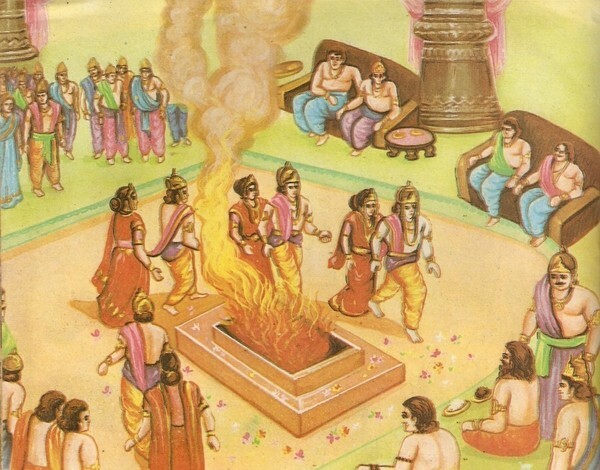 The story of Lakshman and Urmila has been overshadowed by that of Ram-Janaki. I would have liked to see Shiva and Sati making to the list. 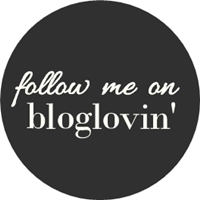 I agree about Cleopatra and Mark Anthony, indeed I contemplated adding it to my list, but I like I mentioned in my post, I always prefer the offbeaten track and felt it was better to include them too! It is difficult to classifyAntony and Cleopatra as belonging to a single genre. It can be described as ahistory play (though it does not completely adhere to historical account), tragedy (though not completely in Aristotelian terms),comedy, and a romance.